Matthew (a.k.a. SnapSecure / Plasmo) hailing from Australia first discovered Vite while he was on Telegram, when “some guy” from ICO Ninja distributed a list of upcoming ICOs. Matt found that most of them weren’t so good, but when he learned about Vite, decided that Vite sounded pretty legitimate (thanks Matt). He is a shining example of how you don’t need an army of computers and manpower to be one of the top Snapshot Block Producers (SBP) and a leader in the Vite community. SnapSecure has been consistently voted among the top 30 SBP’s. 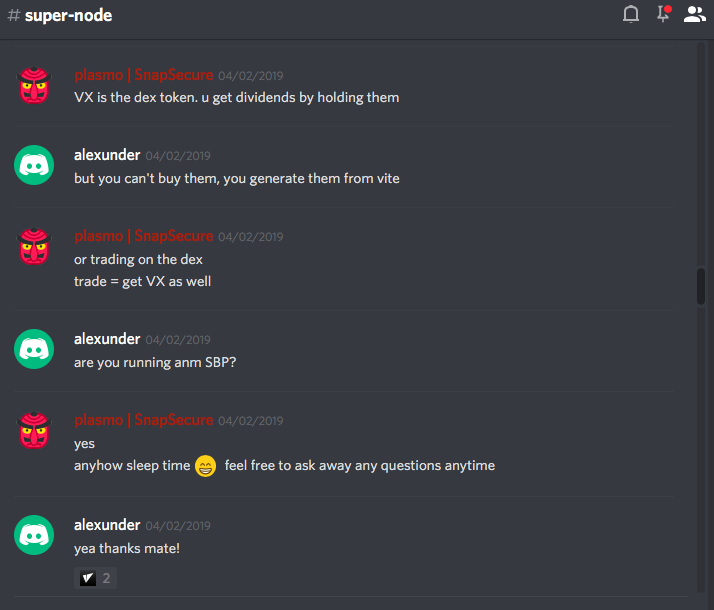 They are one of the most active members on our Discord channel, constantly providing helpful advice and answering questions from others within the community who are learning about Vite. Their website contains comprehensive articles detailing everything from technical tutorials to project updates to community campaigns. Want to know how to set up an SBP? Find this handy tutorial on their website here. Don’t want to commit to an SBP? Learn how to set up a full node here. Want to celebrate the launch of Vite’s Full Node Incentive Program? SnapSecure created a campaign here (you can no longer sign up but it was a great campaign idea nonetheless). They even built a coin faucet that distributes Vite rewards to community members. Although SnapSecure will be taking down his SBP in the coming weeks as he plans to shift his focus from running an SBP to bigger and better things on our decentralized exchange (ViteX), we wanted to take the time to give a shoutout to SnapSecure for what they contributed so far to our community. We can’t wait to see what they come up with next! What’s a Supernode? Got what it takes to be an SBP? 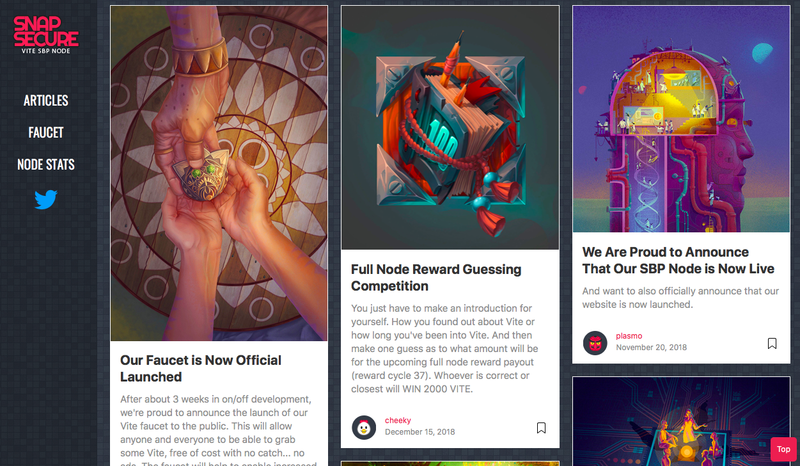 Check out our article entitled Supernode 101 | Earn Vite Rewards Daily. This is a 4 minute read and all necessary information is provided. Take a look at our Node List for examples of existing SBP’s. Want Vite to Shout Out Your Team? We can support you in running community campaigns (e.g. subsidizing your token awards), getting you press and organizing local events (e.g. hackathons and educational workshops). As always, stay tuned as we highlighting more SBP’s and community leaders in the future!